According to the screening test, this western child has a rating below the relational poverty threshold. 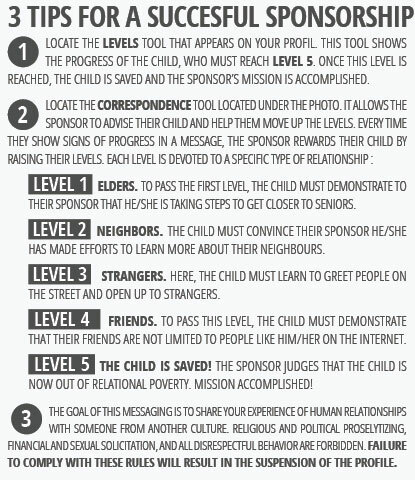 Act now, sponsor this child today and help them reconnect with their entourage : their elders, their neighbours, their friends, and even strangers. 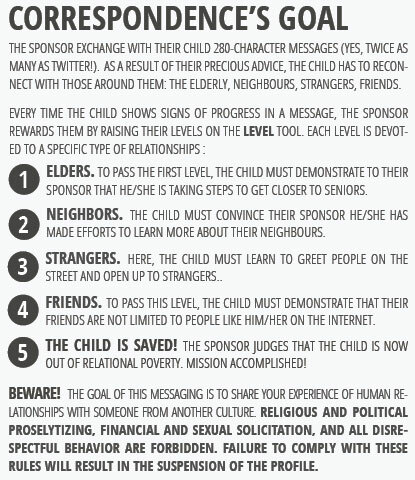 Through 280-character messages exchanged on this platform, you'll share your valuable know-how that will make a big difference in the life of your child.